Pakistan all-rounder Mohammad Hafeez, on Tuesday, announced his retirement from Test cricket on the second day of the final Test against New Zealand. 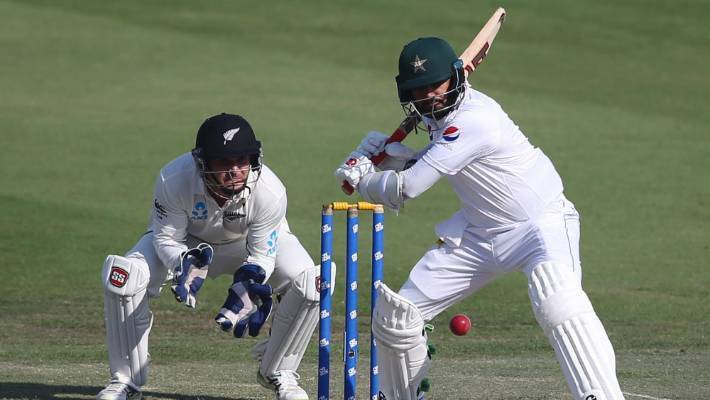 Eighteen-year-old debutant Shaheen Shah Afridi removed opener Jeet Raval for a duck early in NZ's second innings and fellow opener Tom Latham perished to an ill-judged sweep just before stumps. 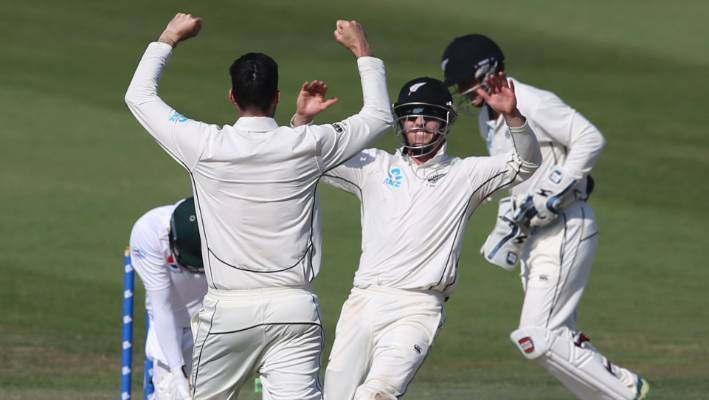 New Zealand's Will Somerville and teammates celebrate the dismissal of Pakistan's Azhar Ali. He struck the first ball of the day from Trent Boult for four and ensured Pakistan progressed at a lively pace after two days of grind from both side's batsmen. New Zealand couldn't get the breakthrough even after bowling 10 overs with the second new ball before lunch.